Everything you've ever wanted in a flute trio. Alanna Kazdan is a performer, teacher, and scholar – she is a transplanted Torontonian currently undertaking graduate studies in music at the University of Victoria. Before moving to the west coast, Alanna completed her Grade 10 RCM in piano, and graduated from the Concurrent Education program at Queen’s University in Kingston, Ontario. She has earned a Bachelor of Music (specializing in flute) in 2015 and Bachelor of Education (specializing in intermediate/senior music and history) in 2016. Alanna has been playing piano since the age of 4, and has continued to advance her piano career as a performer and a collaborative pianist. She has worked with all varieties of solo instruments and vocalists, as well as working extensively as a choral accompanist since 2010. As a flute player, Alanna has played in numerous ensembles and chamber groups, exploring both classical and contemporary genres over the course of her studies. Completing the Double Credit Performance program at Queen’s University unlocked her love of solo flute repertoire, and she is currently pursuing an MA in musicology and flute performance. 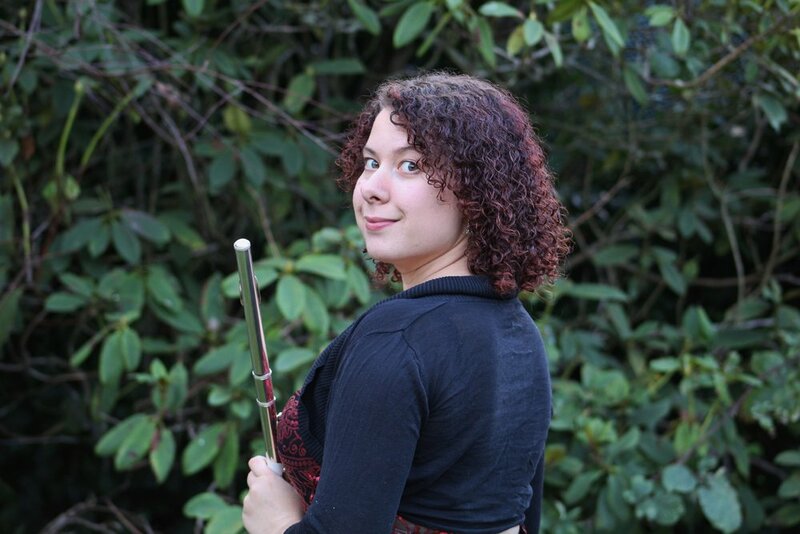 Bailey Finley is a diverse flautist who avidly promotes new music. She has premiered numerous new works by composers affiliated with the Victoria Composers Collective and the University of Victoria. She has performed with numerous ensembles including the Kwantlen Wind Symphony and Jazz Band, the Vancouver Academy of Music Orchestra and the University of Victoria Wind Symphony, Orchestra, Jazz Ensemble and Vocal Jazz Chorus. Bailey received her Bachelor of Musical Arts: Comprehensive in the spring of 2017. Sierra Phosy is a musician and educator who values diversity, community, curiosity, and collaboration. She enjoys all genres of flute music, from classical to contemporary. Sierra is passionate about Kodály-inspired music education, having studied in his method from a young age. She completed her Level 1 certification at the University of Victoria in 2014, Level 2 at the Kodály Levels of Seattle in 2017, and Level 3 in conjunction with the International Kodály Symposium in Camrose, Alberta in 2017. Sierra obtained her Bachelor of Music (education, flute) from the University of Victoria, with a minor in French, in the spring of 2017. She is continuing her studies at the University, in the Faculty of Education. Sierra's personal website is sierraphosy.com. We respectfully acknowledge the Songhees, Esquimalt, and WSÁNEĆ peoples on whose unceded traditional territory we practice and perform.